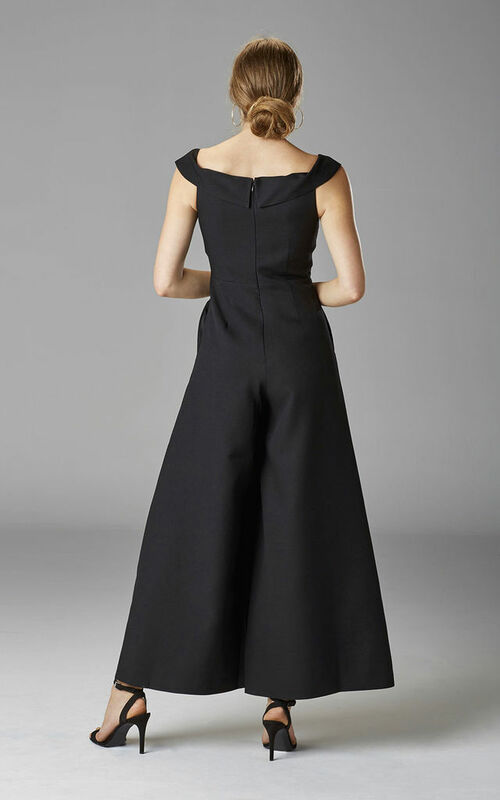 The epitome of contemporary elegance, this black tailored jumpsuit in a high quality thick crepe fabric will make you look and feel fabulous. With a sophisticated off-the-shounder bardot neckline down to a fitted waist, falling into a pleated wide leg, this jumpsuit creates a truly striking silhouette. Good accessories and black footwear complete the look.